2012 Auto Expo is just next door and so is the launch of BMW Mini marquee and Mini vehicles in India. The retro-theme vehicles by German luxury automaker will undeniably emerge as the center of attraction at the event. The company will initially launch three vehicles in the country namely Mini Cooper hatchback as base model, Mini Cooper S in the form of convertible along with Mini Countryman as a crossover SUV (Sports Utility Vehicle). All the three vehicles are extensively used in the upcoming Indian movie ‘Players’ that will see its release on 6th January and this has made car fanatics more impatient about the launch of Mini. The iconic car will compete with all-time classic vehicles like Fiat Nuova 500 and Volkswagen Beetle. For the Indian consumers all the three Minis are expected to be offered in a displacement of 1.6L, 4-cylinder petrol as well as diesel as engine choices, though the engine tune will be different for each vehicle. 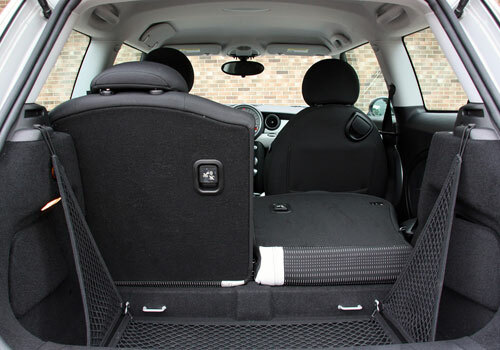 The entry level Mini Cooper hatchback has very genuine and unadulterated design and its every bit of styling speaks ‘retro’ may it be interiors or the exteriors. The Mini Cooper though is a two-door small hatch, but has the capability to seat four individuals and with its standard 1598cc power-train provides an output of 121 bhp. Being a product of prominent carmaker it boasts adequate and modern day active and passive safety features. The true icon is expected to be priced at INR 18 Lakh (Ex Showroom). 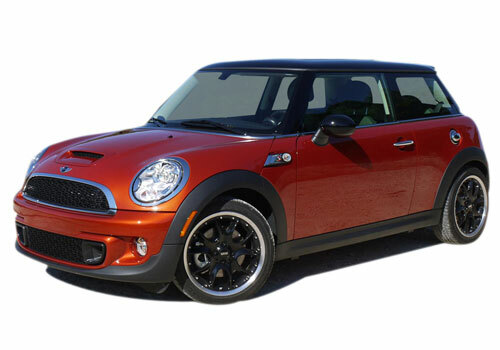 The second in line Mini Cooper known as Mini Cooper S is more powerful along with the feature of being a convertible hatch that offers an electrically retractable soft-top. If measured the ‘S’ variant is 2.76 inch longer as compared to base Mini Cooper, also it has standard 15-inch alloy wheels to ensure a power-packed excitement. The high-performance version generates 172 bhp with the same 1.6L four-cylinder engine. The 0-100 km per hr acceleration can be attained in 6.7 seconds combined with a top-speed of 139 km per hr. The dominant vehicle will be priced above INR 20 Lakh (Ex Showroom). 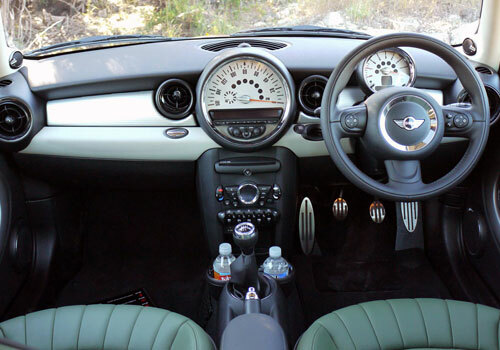 The company describes Countryman as a perfect amalgamation of “Classic Concept” and “Crossover Activity Vehicle”. A large five-seater crossover SUV, which possesses five doors for the first time in the Mini history, will be offered with a 4X4 mechanism. This all-wheel-drive variant is known as Mini ALL4 system, it will be kept standard across all its variants. In conjunction will be the bigger 17-inch alloys bulging out, in order to create the sensitivity of an off-roader. Mini Countryman crossover’s engine will churn out 184 bhp of absolute power with the regular 1.6L power-train. The first-of-its-kind vehicle from BMW Mini features most up-to-date safety equipments in the form of ventilated front and rear disc brakes, six airbags, Anti-lock Brake System (ABS), Electronic Brake Force Distribution (EBFD) and Dynamic Traction Control (DTC) along with Park Distance Control (PDC). The distinctive SUV is estimated to be kept in the price bracket of around INR 24 lakh to INR 25 Lakh (Ex Showroom).